Kenney Community Center, 1720 8th Str. Berkeley. Here’s how the game works. 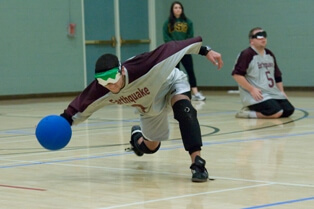 All players wear eye coverings, creating visual equality. Boundaries are marked on a volleyball court with taped-down rope so that players can feel the boundaries with their feet and hands. 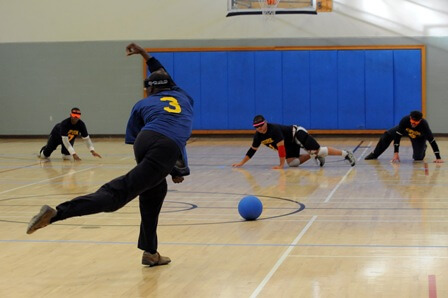 Three team members on each side bowl a ball the size of a basketball in an effort to get it past the other team. 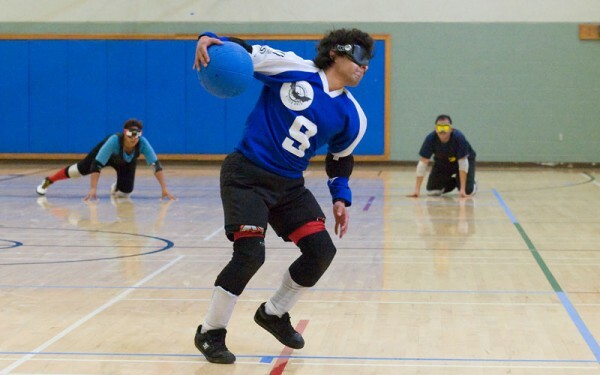 The ball contains bells so that defenders can hear it coming. You score a goal when the ball crosses your opponents’ goal line. 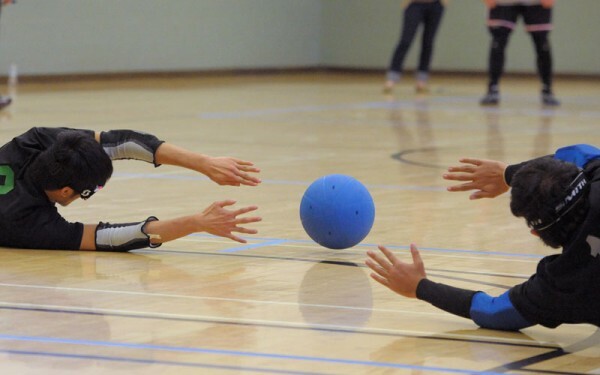 Berkeley’s Goalball class brings together sighted and blind students to learn the game and also study the theoretical framework by which sports and fitness opportunities impact the disability community. 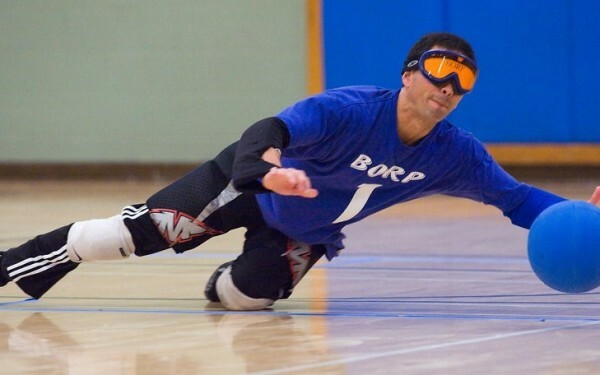 BORP provided coaching and referees for the course. 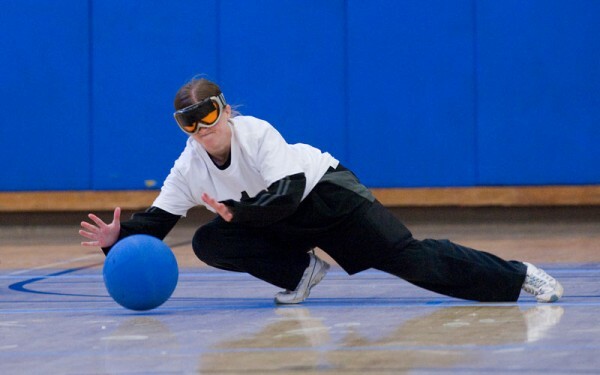 If you are blind or visually impaired and you haven’t tried goalball, you are missing an opportunity to get fit, make friends, stretch yourself in new ways, and maybe do a bit of traveling. We practice every Wednesday from 6:30pm to 9:00pm at the West Campus Boys Gym, located at 2100 Browning at Addison St. in Berkeley. 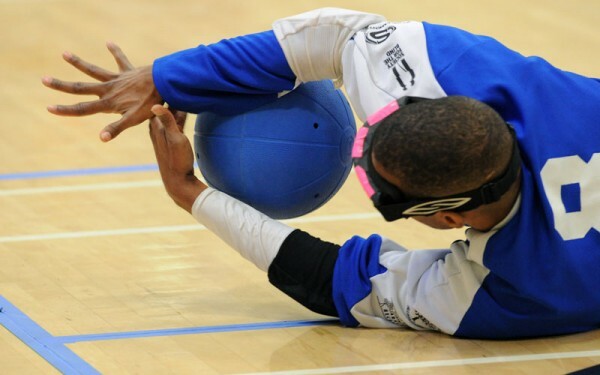 Whether you’re fit or not, competitive or not, goalball is a terrific opportunity to add movement and fun to your life. 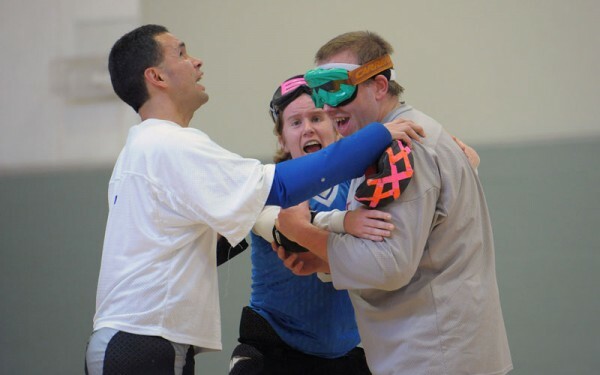 We play at all levels–from the competitive to the pure fun — in a cooperative and supportive atmosphere. 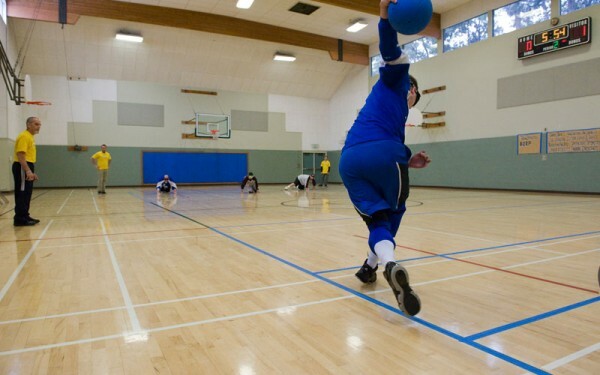 If you are sighted and want to try goalball, come out and play one Wednesday evening. You’ll be amazed. 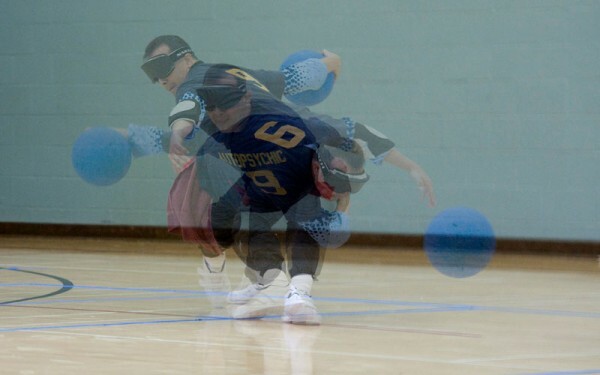 For detailed information about rules, history, and international competitions, please visit the International Blind Sport Association’s website.